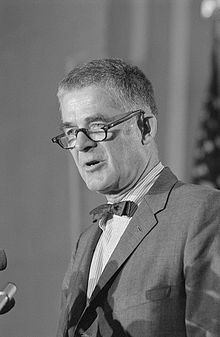 Archibald Cox Jr. (May 17, 1912 – May 29, 2004) was an American lawyer, legal scholar and professor, whose career alternated between academia and government. He was noted for being fired by Richard Nixon for investigating the Watergate break-in. Social protest and even civil disobedience serve the law's need for growth. Ideally, reform would come according to reason and justice without self-help and disturbing, almost violent, forms of protest. … Still, candor compels one here again to acknowledge the gap between the ideal and the reality. Short of the millennium, sharp changes in the law depend partly upon the stimulus of protest. Civil Rights, the Constitution, and the Courts (1967: Harvard University Press), pp. 22–23 (40 N.Y. State B.J. 161, 169 (1968)). Even in a time of ferment and necessary social change—especially in such time—the most important thing about the legal profession is that we inherit the tradition of seven or eight centuries of continuous concern for the institutions and aspirations—for the processes, ideals and sense of right and justice—that make for a free and civilized society. It is not the age of the profession that matters... What matters most is that through the centuries the men of law have been persistently concerned with the resolution of disputes... in ways that enable society to achieve its goals with a minimum of force and a maximum of reason. Our own era has urgent need for lawyers not to resist change but to channel the vital forces at work in the community along the lines of justice and reason, on a scale and at a pace heretofore unprecedented. Only thus can we fulfil our ancient heritage. "Lawyers and Social Ferment", 16 Harvard Law Journal (1962), p. 152. "COX OFFICE SHUT ON NIXON'S ORDER" By LESLEY OELSNER - OCT. 21, 1973 The New York Times. This page was last edited on 20 March 2018, at 16:35.